The University Technology Enterprise Network (UTEN) program was created in 2007 between the Portuguese Government and The University of Texas at Austin (UT Austin) to provide a commercialization outlet for the science and technology (S&T) in-country investments. UTEN’s mission gradually evolved to build a professional, globally competitive and sustainable technology transfer and commercialization network in Portugal oriented toward international markets. UTEN is an initiative whose goal is to creatively, effectively, and efficiently foster the activities of science and technology transfer and commercialization in Portugal. From September 2007 through August 2012, the UTEN initiative served to build the network and engage the national and international participants. 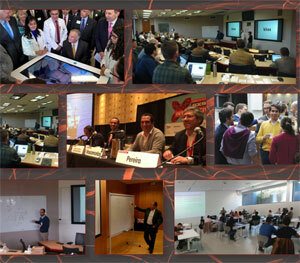 Its operations turned to developing a series of different networking initiatives – workshops, training weeks, initiation brainstorms – for network members, namely for all Portuguese universities’ technology transfer offices, with the participation of several other national and international partners.